Travelling to and from the central business district from the airport can be time-consuming and impact valuable meeting time, but with the well-appointed conference facilities at Wellington Airport the commute no longer needs to be an issue. Set in a separate area of the airport with rooms offering impressive views of the terminal and runway, the conference centre offers a variety of spaces for different purposes and group sizes. The rooms cater for groups as small as two for an informal meeting or interview, up to 100 people for larger corporate events or conferences. All 10 rooms are equipped with free wireless internet and full business facilities. A delicious catering menu is available for breakfast and lunch along with a morning or afternoon tea option. Wellington is served by a number of domestic and international routes making it an ideal destination to gather a group of employees or business contacts. Discounted parking rates are offered to anyone attending the conference facilities and driving to the venue. Rooms can be booked for either a full day or half a day, with the option to book a number of rooms together. 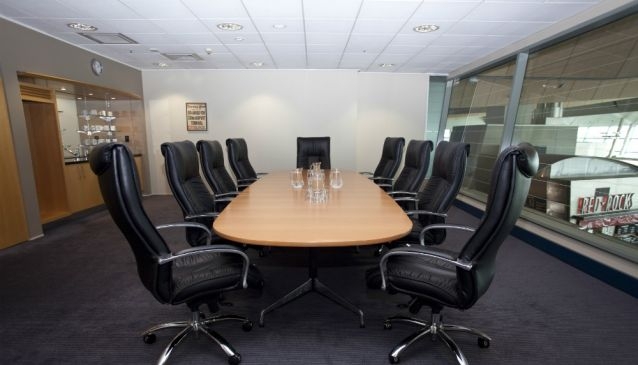 The Executive Boardroom: The most prestigious room in the centre, overlooking the runway and Lyall Bay. The room seats 12 and has leather recliners. This room is designed for board or client meetings or small conferences. The View: This room seats up to 10 with floor to ceiling windows that offer great views of the terminal and runway. This room is suitable for conferences, board meetings, and presentations. The De Havilland: This medium sized room can seat up to 20 people. It connects to the Sunderland room and can be converted to hold up to 42 people. The Sunderland Room: This room seats 26 people and offers a versatile floor space. It can be combined with both the De Havilland room and the Viscount room to cater for larger groups. The Viscount: This is a versatile room that can be used on its own or, combined with the Sunderland room to accommodate up to 40 people in a boardroom style. The Catalina: This room is suitable for small meetings or interviews with seating for up to eight people. The Skyhawk: This room seats 10 people and has great views of the terminal. The Argosy: This is one of the most popular choices, seating eight people around a boardroom table. A built-in whiteboard is available. The Hub: This small internal room with a built-in whiteboard is a good option for informal meetings and is suitable for people on a smaller budget. The Office: This room has seating for four and makes a good location for interviews, small group meetings or, somewhere to work individually before a flight. A built-in whiteboard is available.